Cheap Fixer in a Great Neighborhood! What's Wrong With It: Everything is seventies vintage. The property seems physically solid, but it's not pretty right now. Needs new paint, new carpet, and some other minor updating. Why It Hasn't Sold: Most folks won't look beyond how it looks now to how it could look with not very much expense. Who it's Not Appropriate For: People who need a turn key property. Selling Points: Decent size back yard and family room. Walk across the street to get to elementary school, two blocks for middle school and three for high school - and all three are sought after schools. DIning room looks out into front garden. Who Should be Interested: People looking for a place where a little bit of sweat will build a lot of equity. Why it's a Bargain: Cheapest house in a good neighborhood, and what needs to be done won't take that much. What I think I can get it for: $305,000. Investment potential: If you keep it ten years and it averages only 5% annual average appreciation per year: Based upon a purchase price of $305,000 the property would be worth approximately $500,000. If you held it those ten years before selling, you would net about $230,000 in your pocket (not including increased value from updates! ), assuming zero down payment. As opposed to renting the $1800 per month most comparable currently available rental and investing the difference at 10% per year tax free, you would be approximately $200,000 ahead of the renter, after the expenses of selling. Beautiful House, Country Feel, City Close! What's Wrong With It: Dividers between kitchen, living room and dining room. You get some traffic noise outside. Facade needs paint. Why It Hasn't Sold: It's in a small hidden neighborhood. Who it's Not Appropriate For: Fixers and Flippers, because there's really not much left to do. Selling Points: There's lots of trees on the street, and it has a good view. 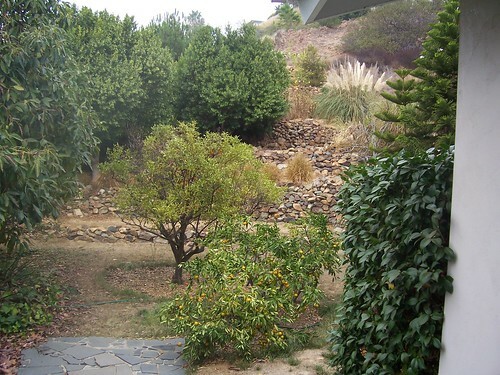 Large lot with back yard deck and garden - perfect for parties. Detached two car garage, semi-circular driveway with enough room for at least four cars. Inside is beautiful, too. Hardwood floors and lots of light! Who Should be Interested: This would be a great place to live! Good schools for families! Why it's a Bargain: I would expect a property like this to have an asking price at least forty thousand dollars higher. Investment potential: If you keep it ten years and it averages only 5% annual average appreciation per year: Based upon a purchase price of $410,000 the property would be worth approximately $670,000. If you held it those ten years before selling, you would net about $320,000 in your pocket (not including increased value from updates! ), assuming zero down payment. As opposed to renting the $2100 per month most comparable currently available rental and investing the difference at 10% per year tax free, you would be approximately $220,000 ahead of the renter, after the expenses of selling. What's Wrong With It: All the surfaces are old, and it needs refurbishing. Floor plan has dividers it doesn't need. Who it's Not Appropriate For: People who can't handle stairs. Selling Points: Nice large back yard, lots of storage underneath the house. 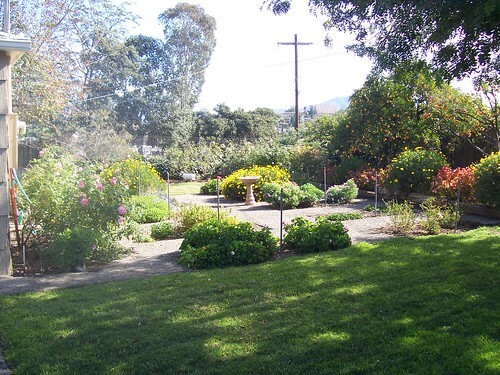 Has great views of the neighborhood, and sits in an excellent school district. Who Should be Interested: Anybody looking to buy into a great neighborhood at a bargain price! Why it's a Bargain: Everything around it is much more expensive. There's nothing cheaper in the neighborhood! What I think I can get it for: $320,000. Investment potential: If you keep it ten years and it averages only 5% annual average appreciation per year: Based upon a purchase price of $320,000 the property would be worth approximately $530,000. If you held it those ten years before selling, you would net about $250,000 in your pocket (not including increased value from updates! ), assuming zero down payment. As opposed to renting the $2200 per month most comparable currently available rental and investing the difference at 10% per year tax free, you would be approximately $280,000 ahead of the renter, after the expenses of selling. Solid Lender Owned Property in Great Neighborhood! 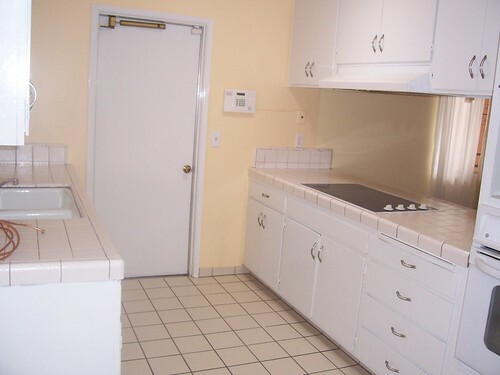 What's Wrong With It: The color of the kitchen cabinets has to be seen to be believed. The cooking equipment is basically original 1960. Neither bathroom has been updated since at least 1975, and the floors need to be polished and sealed. 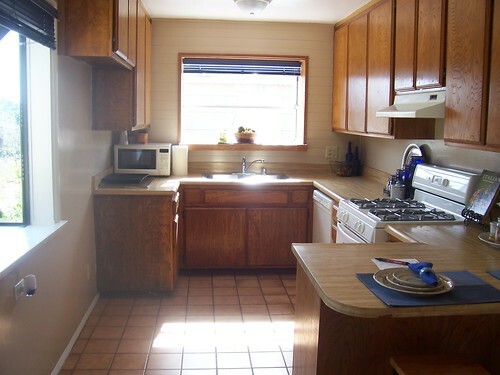 Why It Hasn't Sold: Those kitchen cabinets are the unforgivable sin for most. Who it's Not Appropriate For: Somebody who has to have it beautiful immediately. 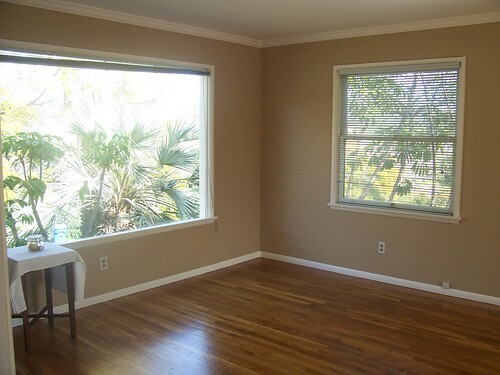 Selling Points: All of the rooms have really good light, the living room especially. Everything is solid and even the stuff that needs to be updated is very livable as it sits. The back yard has plenty of room and an excellent view. The neighborhood is solid and desirable. The schools are excellent. Who Should be Interested: Mostly, people willing to deal with surface cosmetic issues - the kitchen cabinets would be the hardest. Why it's a Bargain: Priced aggressively to sell, $30000-$40000 below less desirable properties in the same neighborhood. What I think I can get it for: $360,000. Monthly Payment examples: I've currently got a thirty year fixed rate loan available for qualified buyers at 5.875% with one point, or 100% Thirty year fixed VA financing at 5.875% for the same cost. With 20% down: Fully amortized payment of $1703 (APR 6.027). Investment potential: If you keep it ten years and it averages only 5% annual average appreciation per year: Based upon a purchase price of $360,000 the property would be worth approximately $580,000. If you held it those ten years before selling, you would net about $280,000 in your pocket (not including increased value from updates! ), assuming zero down payment. As opposed to renting the $2000 per month most comparable currently available rental and investing the difference at 10% per year tax free, you would be approximately $250,000 ahead of the renter, after the expenses of selling. Cheap Lender Owned Remodeler's Project in Great Neighborhood! What's Wrong With It: Yards are down to bare soil - need sod. Pool in backyard needs refinishing. Kitchen has been torn apart, and is not currently usable. Everything in the property is thirty years old, at least. Why It Hasn't Sold: Currently unsightly, to say the least. Also, it may be an issue getting a conventional residential loan before the kitchen is fixed. Who it's Not Appropriate For: Anyone who wants a turnkey place to live in. If you live in it, you're going to have to "rough it" for a while. Selling Points: Good light, seems basically solid structurally. Who Should be Interested: People willing to but some sweat into the property that will be repaid when it's finished. Why it's a Bargain: Lender owned, and most people can't see that the property is in a state you'd have to take it to in order to remodel. What I think I can get it for: $270,000. Monthly Payment examples: I'm going to leave those off, this time, because we might not be able to get a residential loan at first. Investment potential: If you keep it ten years and it averages only 5% annual average appreciation per year: Based upon a purchase price of $270,000 the property would be worth approximately $440,000. Lender Owned Beautiful Comfortable Family Home Close to Everything! What's Wrong With It: Gets some traffic noise, and the garage was converted to the 3rd bedroom. Why It Hasn't Sold: People aren't looking for this kind of property in this area. Who it's Not Appropriate For: Someone looking for a quick profit. This is not a flipper house. 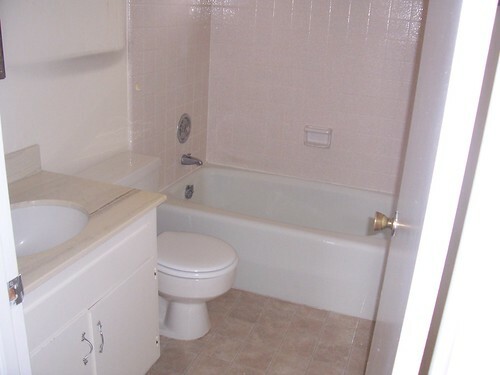 Selling Points: Hardwood floors in the main part of the house, tile in the newer part. Kitchen is recently remodeled. 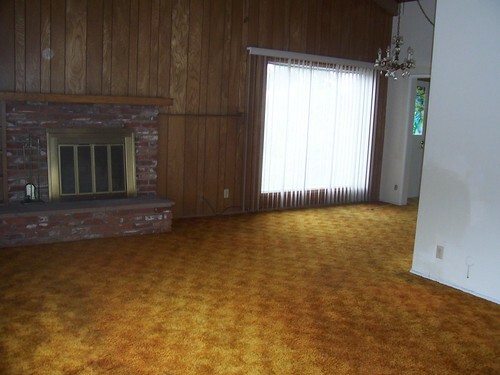 Living room is original mid-century, but family room with lots of open light is a more recent addition. Back yard is lush and green. Who Should be Interested: People looking for a good place to live at a reasonable price. This is a neighborhood that's starting to come up. Why it's a Bargain: Lender owned, and the work has been done. What I think I can get it for: $370,000. With 20% down: Fully amortized payment of $1727 (APR 5.900). Investment potential: If you keep it ten years and it averages only 5% annual average appreciation per year: Based upon a purchase price of $370,000 the property would be worth approximately $600,000. If you held it those ten years before selling, you would net about $290,000 in your pocket (not including increased value from updates! ), assuming zero down payment. As opposed to renting the $1700 per month most comparable currently available rental and investing the difference at 10% per year tax free, you would be approximately $170,000 ahead of the renter, after the expenses of selling. Great Entertainment Property - Partial Fixer in Highly Desired Area! What's Wrong With It: Outside needs paint. One door needs replacing, as does carpet in both bedrooms. Some tile needs repair. One bathroom is straight out of 1965. Why It Hasn't Sold: Most people can't see past what it needs to what it's got. Who it's Not Appropriate For: It is going to take some work for most folks to be happy here. 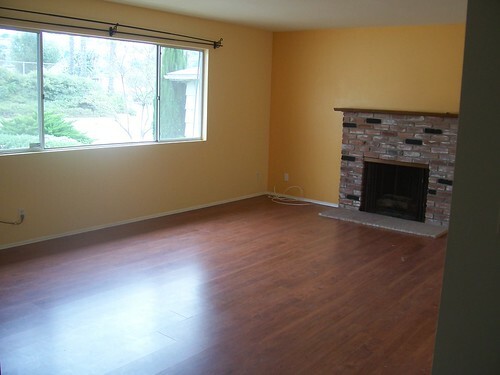 Selling Points: Combination living room family room with great light and great visibility. Kitchen is freshly redone, and the front bathroom is in attractive as well. Outside has sparkling pool and nice brick courtyard for outdoor gatherings, and a large lot with plenty of room left to do whatever you like. Lots of parking in front of the house, and everything you see around it is more expensive, some of it much more expensive. Who Should be Interested: This is what opportunity looks like, whether for a fix up profit or for a place to live for ever and ever. Why it's a Bargain: Worst house in the best neighborhood is the classic recipe for bargains and it's not that bad. What I think I can get it for: $375,000. With 20% down: Fully amortized payment of $1751 (APR 5.899). Investment potential: If you keep it ten years and it averages only 5% annual average appreciation per year: Based upon a purchase price of $375,000 the property would be worth approximately $610,000. If you held it those ten years before selling, you would net about $300,000 in your pocket (not including increased value from updates! ), assuming zero down payment. As opposed to renting the $2100 per month most comparable currently available rental and investing the difference at 10% per year tax free, you would be approximately $260,000 ahead of the renter, after the expenses of selling. Nicely Maintained Property on Quiet Street! What's Wrong With It: Living room is on the small side, and kitchen layout is a little unusual. Why It Hasn't Sold: It was placed on the market over-priced. Now that they've cut the price, people aren't interested because it's been on the market too long. Who it's Not Appropriate For: That's a good question. I can't think of anyone who couldn't be happy here. Selling Points: Wrap around side to back yard that's pretty much all usable, with a decent view. Nice light throughout. Extra room would be a good office, and might even be a legal fifth bedroom. Everything is clean and well-maintained. Who Should be Interested: Nice house at a reasonable price on a quiet street in a desirable neighborhood with above average public schools. What's not to like?. Why it's a Bargain: As I said, the owners basically shot themselves in the foot by over-pricing it initially. Once buyers have decided they're not interested, it's hard to get them back. With 20% down: Fully amortized payment of $1914 (APR 5.894). Investment potential: If you keep it ten years and it averages only 5% annual average appreciation per year: Based upon a purchase price of $410,000 the property would be worth approximately $660,000. If you held it those ten years before selling, you would net about $320,000 in your pocket (not including increased value from updates! ), assuming zero down payment. As opposed to renting the $2100 per month most comparable currently available rental and investing the difference at 10% per year tax free, you would be approximately $250,000 ahead of the renter, after the expenses of selling. What's Wrong With It: The kitchen cabinets were left untouched in a recent remodel. Hardwood floors need resealing. I'm pretty certain the upstairs room was done without permits. Why It Hasn't Sold: They're trying to sell it as something it's not. Who it's Not Appropriate For: Someone not willing to take the risk of unpermitted additions. Selling Points: Decent sized back yard, split into two terraces, either one of which could fit a small pool. Living room an kitchen have great light, and the kitchen floor and counters are new. Hardwood floors through most of the ground level, with travertine in kitchen. Very quiet neighborhood, but still walking distance to shopping. Great Schools. Why it's a Bargain: There really isn't much that really needs doing, and the property appears to be in good shape. Assuming the addition is unpermitted, I think it would be fairly easy to bring it to code and get it permitted. With 20% down: Fully amortized payment of $1681 (APR 5.901). Investment potential: If you keep it ten years and it averages only 5% annual average appreciation per year: Based upon a purchase price of $360,000 the property would be worth approximately $590,000. If you held it those ten years before selling, you would net about $290,000 in your pocket (not including increased value from updates! ), assuming zero down payment. As opposed to renting the $2000 per month most comparable currently available rental and investing the difference at 10% per year tax free, you would be approximately $250,000 ahead of the renter, after the expenses of selling. This page is a archive of recent entries in the Bargains I've Found category. Loans Available for Locking is the next category.